99% Occupy à € by Fontarium a division of SWMCA Brands & Holding LLC. 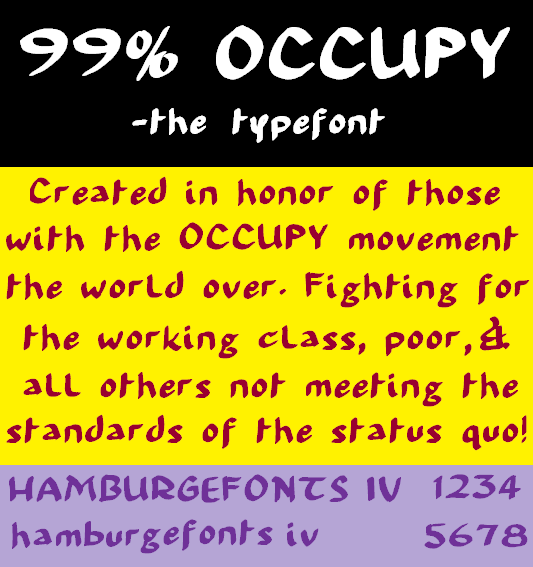 99% OCCUPY is always free as a gift to "the othe 99%" represented by the OCCUPY Movement. EULA available at swmca.com Main Website. Illustration © Fontarium a division of SWMCA Brands & Holding LLC.